Sacraments (or Mysteries) are holy actions of the Church by which spiritual life is imparted to those receiving them. Ordination, which means "to set in place" or "to select by the outreached hand," is one of several Orthodox sacraments. It is extended specifically to bishops, presbyters (priests) and deacons, and generally to all through Holy Baptism. In His ministry Christ ordained or "set in place" the Twelve, assuring them, "You did not choose Me, but I chose you and appointed you that you should go and bear fruit, and that your fruit should remain" (John 15:16). Both the New Testament and the Church Fathers recognise the Twelve as the first bishops or overseers in the Church. When Judas had fallen away and the disciples were considering his successor, Peter said, "Let another take his office" (Gr. Episkopen, lit. "Bishopric"; Acts 1:20). This bishopric was given to Matthias (Acts 1:26). The apostles - these first bishops - in turn ordained presbyters and deacons. The account of the first ordination of deacons (Acts 6:1-6) is quite detailed. "Seek out from among you seven men of good reputation, full of the Holy Spirit and wisdom, "the apostles said, "whom we may appoint [Gr. Kathistemi, "to set down" or "ordain"] over this business" (Acts 6:3). The manner of this appointment is clear: "They laid hands on them" (Acts 6:6). The ordination of deacons in the Orthodox Church takes place in the same manner today, through the laying on of hands by the bishop. The first account of the ordination of elders or presbyters is in Acts 14:23. The apostles Paul and Barnabas "appointed [lit. "Elected by stretching forth the hand"] elders in every church, and prayed with fasting," then "commended them to the Lord in whom they had believed." Similarly, Paul reminds his apostolic apprentice, Titus, "For this reason I left you in Crete, that you should set in order the things that are lacking, and appoint [set in place, ordain] elders in every city as I commanded you" (Titus 1:5). The Titus passage brings to mind the first prayer the bishop prays over the one being ordained to the Orthodox priesthood; "Thy grace divine, which always heals that which is weak, and completes that which is lacking, elevates through the laying on of my hands this most devout deacon to be priest." The bishop continues to ask God to "fill with the gift of the Holy Spirit this man ... that he may be worthy to stand in innocence before Your holy alter, to proclaim the gospel of Your Kingdom, to minister the word of Your truth, to offer You spiritual gifts and sacrifices, to renew Your people through the laver of regeneration." A dramatic moment in the service of ordination comes when the candidate is led around the alter three times, kissing or venerating the four corners of the altar. This symbolises his marriage to Christ, his death with Christ, and his willingness to serve the Church sacrificially after the example of his Master. Ordination is seen as an eternal appointment, "for the gifts andthe calling of God are irrevocable" (Rom. 11:29). It is in this spirit that during each Divine Liturgy the priest prays for his bishop that "the Lord God remember him in His Kingdom always, now and ever, and unto ages of ages." Through the sacrament of ordination in His Church, Christ entrusts to the shepherd the very salvation of His people's souls. More information on the Clergy and Vestments worn by the Clergy. One should not interfere in the business of those in authority and judge it; by this means one offends the majesty of God, from Whom authorities obtain their position. For there is no authority except from God, and the authorities that exist are appointed by God (Romans 13:1). One should not oppose authorities who act for good, so as not to sin before God and be subjected to His just chastisement: Therefore whoever resists the authority resists the ordinance of God, and those who resist will bring judgment on themselves (Romans 13:2). 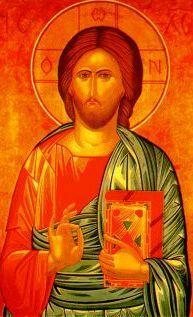 One must be in obedience to a superior: for through this he who is obedient prospers mightily in the formation of his soul; and in addition he obtains by this means an understanding of things and comes to heartfelt contrition. Let every abbot become and remain always in his relation to those subject to him as a wise mother. A mother who loves her children lives not to satisfy herself, but to satisfy her children. The infirmities of her children she bears with love; those who have fallen into filth she cleans, washes them calmly, clothes them in new white garments, puts their shoes on, warms them, looks after them, comforts them and from all sides strives to pacify their spirits so that she never hears the slightest cry from them; and such children are well disposed to their mother. Thus should every abbot live not to satisfy himself, but to satisfy those subject to him - he should be condescending to their weaknesses; bear with love the infirmities of the infirm; heal their sinful diseases with the plaster of mercifulness; raise with kindness those who have fallen into transgressions; quietly cleanse those who have become sullied with the filth of some vice and wash them by placing upon them fasting and prayer above the ordinary amount which is set forth for all; clothe them, by instruction and by one's own exemplary life, in garments of virtues; keep constant watch over them, by every means comfort them, and from all sides defend their peace and repose to such an extent that the slightest cry or murmuring will never be heard from them; and then they will zealously strive to procure for the abbot peace and repose. The spiritual father is charismatic and the living icon of Christ; he is himself Christ.